On one of my trips to Oklahoma City I decided to take a detour a little farther west on HWY-82 than I normally do. 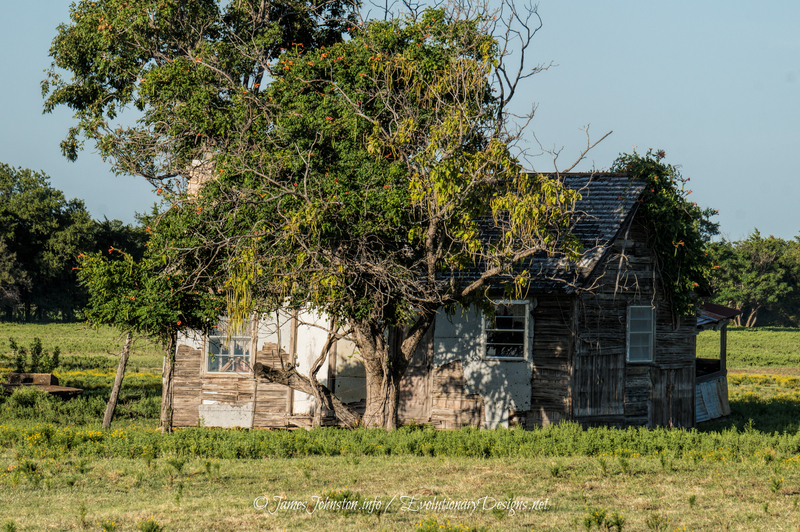 I mapped out a small road trip to the historic small town of Spanish Fort, Texas and then up through the back roads of rural Oklahoma to my destination. 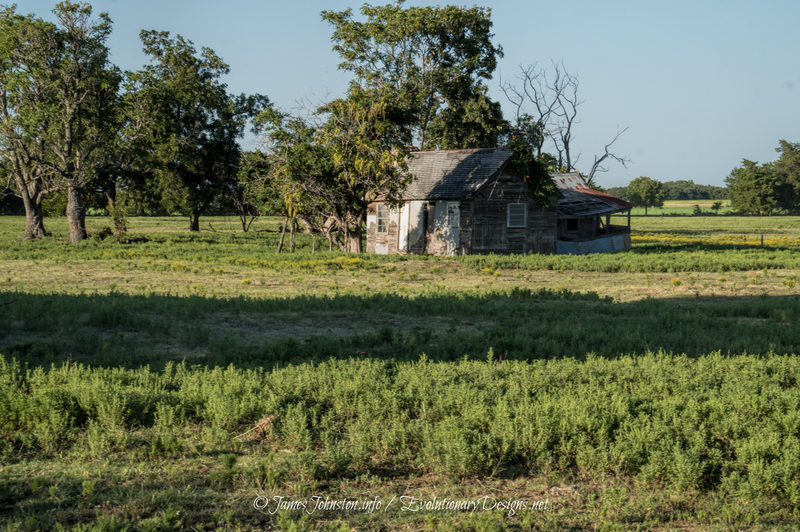 While driving north on FM 373, I came across an interesting old and abandoned farm house North of St. Jo, Texas. The only residents on the property were the cattle that graze there. As for the condition of the old farm house, its in decent shape. The original part of the house looks to be solid, but the addition is in bad shape. The surrounding land is impressive, and the house is so small that its footprint doesn’t take away from the workable land. As to the history, I couldn’t find any information and there weren’t any locals around to find out more. I can tell is the house is located north of St. Jo, Texas outside of town. If you know anything about this old house or the property, please contact us. We are looking for vintage pictures of the house, when it was built and by who, when it was abandoned, and stories from those families that lived there. NOTE: This article was originally posted on September 25th, 2014 to my personal website and will not be updated. It was then posted to VanishingTexas.com on January 13th, 2016. That site is no longer affiliated with us. All content from that site is slowly being migrated and updated to this site. All photos featured in this article were taken in April 2015 unless noted. This article will continue to be updated as new information is added.